In 1975 work was well underway on the St Patrick's section of the ring road, and Broad Street Junction. As part of this project the canal was diverted and the Broad Street canal bridge was replaced. The original bridge, before it was dismantled and put into store. 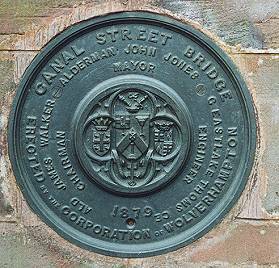 It was built by Wolverhampton Corporation in 1879, and carried what was then called Canal Street over the canal. 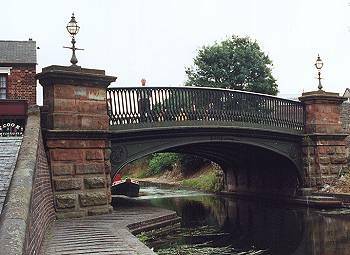 The canal was engineered by James Brindley and opened in 1792. The bridge stood next to the Union Inn which was another prominent landmark. The Black Country Living Museum eventually acquired the bridge and it was moved to its current location at Dudley. Apart from being slightly lower and somewhat narrower than before, its an excellent reconstruction. 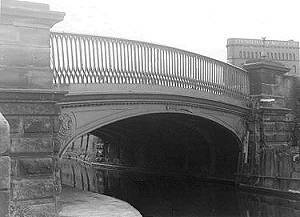 If you remember it as it was, you will find it strange to walk beneath the bridge, as you will expect to find Broad Street basin on one side and the canal warehouse on the other. 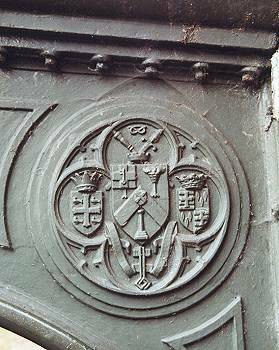 A nice detail on each side of the bridge is the old coat of arms. 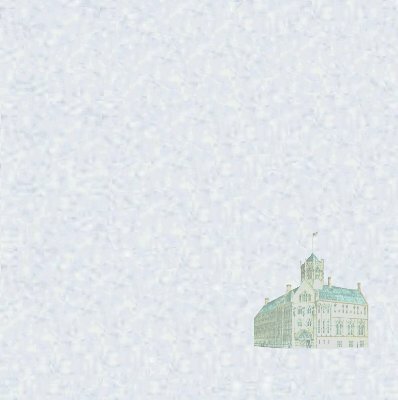 on the fine builder's plate.